Natural roasted coffee beans, and even more ground coffee, very negatively react to improper storage. ambient air, Sun rays, excess moisture, pungent smells have the ability to completely kill the flavor and taste of even the most gourmet coffee. That's why manufacturers are packed in jute bags special green coffee beans raw is in a state of unroasted, so it is better to store. How to store coffee after purchase? Release the vacuum packaging with natural coffee is best stored in a dry, cool place. Package with ground coffee beans or need to tightly twist, removing the air, and secure normal office paper clips, or put the coffee in tightly closed, lightproof container. Do not store the packaging or container of coffee in the open state, in paper containers, there, where odors and humidity. use coffee, not to exceed the shelf life, do not buy coffee "rainy day", stocks is better to do a maximum of a couple of weeks. If you drink coffee quite rare, Opening the packaging can be place in freezer. This will allow the coffee to survive long enough time. Grind the beans can not exposing defrosting. Grain coffee is needed to grind just before the cooking, the only way he will give maximum flavor and taste. An hour later, after coffee grinding becomes sour. If the coffee is brewed in large quantities, on several occasions, it should be pour for storage in a thermos. Preheat the coffee can not secondary, taste and aroma will inevitably be lost. 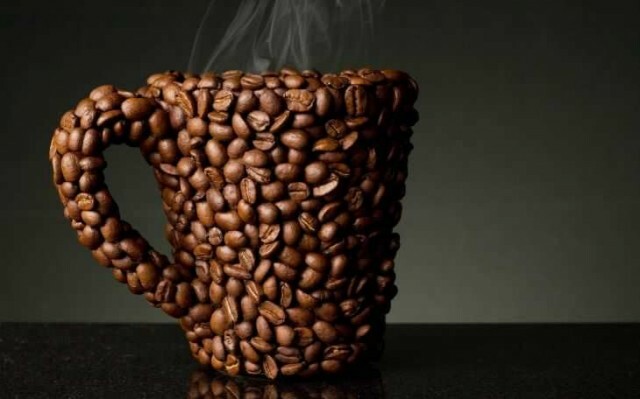 If a coffee beans properly or stored for a long time, You can also try return his fragrance. For this grain cool water rinse, put on a dry frying pan and drain on low heat, stirring constantly. This may well help, but if in the grinding fragrance still has not felt, so, coffee hopelessly spoiled, You have to buy a new pack.